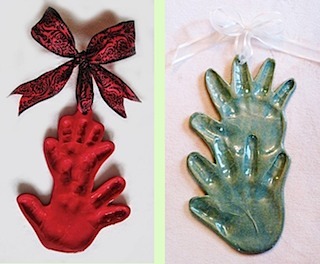 Siblings hand on hand double impression design. 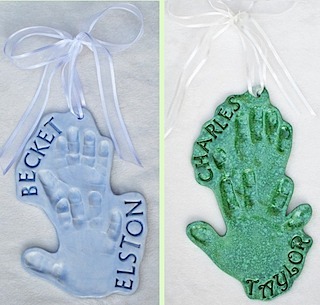 This cute hand on hand impression design can be ordered in any color and dressed up with Boutique Ribbon. You can also add more hands. Pricing varies, see below.